Thanks for visiting, all! Have a great weekend! Last year my Hero Hostess sister Arlene sent me this adorable little reindeer cling stamp by Hero Arts and I thought it would be the perfect centerpiece for a tag. I'm entering this into Hero Art's Holiday Challenge, in the Tag It! category. Simon Says .......... Anything Goes! It's the last Wednesday of the month, and that means it's your favorite challenge: Anything Goes! at the Simon Says Stamp Wednesday challenge blog. The design team were generously treated to some Spectrum Noir colored pencils, and we are all showing off some cards that we made using them. 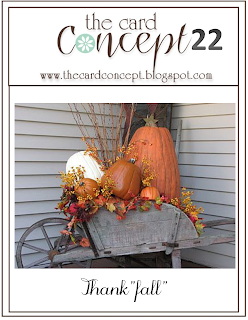 October is my favorite month of fall, and so I made some autumn-toned cards for you this week. I stamped on kraft cardstock and then colored in my images with the creamy Spectrum Noir colored pencils. I wanted a particular purple, so I combined a blue and a lavender to get it, and the pencils performed beautifully. I'm so pleased to now have these wonderful pencils in my arsenal! For my second card I pulled out a beautiful Memory Box woodblock stamp called Maple Wreath and added a sentiment from Clearly Besotted's Autumn Flowers, along with a triple twine bow secured with a button. for the random winner of this week's challenge, to be spent at the Simon Says Stamp store!! AND the generous people at Spectrum Noir have added a prize of 2 sets (winner's choice) of their beautiful colored pencil sets to a second random winner! ETA: Both of these cards will work for The Card Concept's current challenge, so I'll be entering them there, I guess in the Clean and Simple category or Clean and Layered. The more I looked at the sketch at CASE this Sketch, the more I wanted to do a literal interpretation. Thanks once again for stopping by - please come back again tomorrow for a Simon Says Stamp Wednesday challenge post. This one is CASE this Sketch, and it's another good one, very versatile! I've been hoarding this Basic Grey Aspen Frost birch bark paper, exactly the right size for this sketch, so that's where I started. 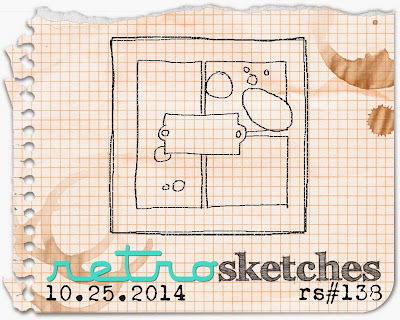 I instantly fell in love with the current sketch at Retrosketches! It is perfect for using scraps of coordinating design papers! I immediately thought of my Simon November Card Kit and the Lawn Fawn Snow Day papers in it, and this came together really quickly - a great sketch will do that for you! I decided to go without a sentiment, since one of the panels does that quite nicely! Love these tiny patterns and colors in the papers! Some weeks ago I played in another of our Hero Arts Flickr scrambles, and our hostess Janet asked us to use text on our creations. That just so happens to be an element that I love to use, so I was able to make 2 cards that week, and in light of our kraft challenge at the Simon Says Stamp Wednesday blog this week, I thought I'd share them today. I used the negative of the snowflake die and lined it with a trimmed page from a book. I stamped the leaves and doodled in the stems. Thanks for stopping by today. Hope your weekend is going well! And another entry to Hero Arts Holiday Challenge - this time in the tag category. I did this little guy last year in pink and decided to use that color again. I think this little guy is my favorite HA snowman! Simon Says.........Get Crafty and Use Kraft! It's Wednesday - time for our next Simon Says Stamp Wednesday challenge! This week we're asking you to use kraft somewhere in your creations. The design team are using some Hero Arts products that they sent us, and we'd love to see you using them, too, but it isn't a necessity to play. Here's a 2nd card that uses a Hero Arts snowflake die-cut and their Miracle of the Holidays sentiment, stamped in Red Royal ink. After die-cutting my snowflake, I used the negative and popped it over a red dotted cardstock to mimic the dots in my sentiment. The red dotted paper is from BoBunny's Very Vintage pad. Our generous Heidi has provided us with another $50.00 gift voucher to the amazing Simon Says Stamp store for the random winner of our challenge. A friend is moving away, and we will likely not see her often again. I made her this card to wish her well. It's a CASE of a card by Kay Miller that I recently saw in my blog-hopping. I just love Kay's mix of the happy sunflower with the green gingham, and thought it would make a great card for my friend. As always, thanks for visiting - enjoy the rest of your weekend! I'm always late to the party........I just recently received this adorable Winter Sparrows stamp set from Lawn Fawn, and then this week my Simon November card kit arrived with the Lawn Fawn Snow Day papers in it. And this morning I found a tutorial by Jennifer McGuire that explained how to get some new life out of our Wink of Stella pens. All of that came together in this little card. supplies: Lawn Fawn's Winter Sparrows, Simon's Be Joyful (sentiment and "snow"), Lawn Fawn's Snow Days paper, markers, a rejuvenated Wink of Stella pen (which never shows on my photographs), VersaFine onyx black, Teddy Bear Brown, Lipstick Red, and Soft Pool inks, red gem "berries"
Thank you, Jennifer, adding water to my WOS pen has got it going again! I think they ARE expensive, so I was thrilled to get some more use out of mine! I just received my Simon November Card Kit, Winter Jubilee, and it is one of my favorites! I thought this paper with the bunnies and birds decorating a tree was so cute, I wanted to build my card around it. The largest tree was stamped in Hero Arts Splash ink, then cut out in an oval shape and framed in a scalloped oval, and I added some of the enamel hearts from the kit. 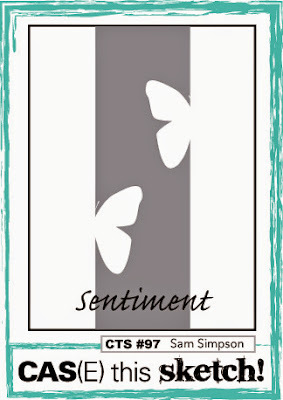 The sentiment stamp seems perfect; it was stamped in Hero Arts punch ink. I also really liked this striped paper, which has so many fun motifs on it. So I cut a small section of it and stamped the candy cane stripe on either side of it, then added another of the papers along the spine of the card, and framed up one of the tags, which acts as my focal point and my sentiment at the same time. Lawn Fawn has outdone themselves with these wonderful papers - you can't help but smile when you see them, and they all coordinate beautifully together. There will be some mighty happy Christmas cards made with them! Thanks for your visit today. Have you started your Christmas cards yet? It's never too early! 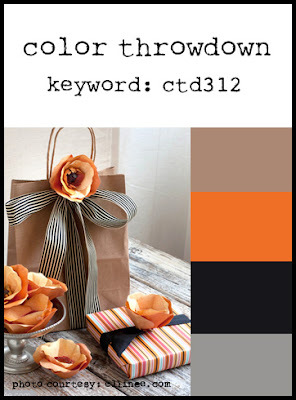 If you're looking for my Color Throwdown post, please scroll down 1 post or click HERE. Thank you. Happy Wednesday and welcome to another challenge at the Simon Says Stamp Wednesday Challenge Blog! The design team are all using Simon exclusive products, and if you have any that would work, we'd love to see them in your entry! Now it's your turn! I can't wait to see what you do with these colors!! that you can spend at her fabulous Simon Says Stamp store! I stamped a spray of roses, then fussy cut them and popped them above the card, sprinkling some sequins to match. I was happy to find this pale pink gingham to add for a bit of pattern. Thank you to the ladies of Color Throwdown for having me this week! The challenge ends on Thursday, Oct. 16 at 9:00 AM Eastern time. I hope to see you there! HERE's a link for all the details. On World Card Making Day, the Winnie & Walter blog had several great challenges for us, but I didn't get around to playing until just now. This one is called Pattern Play, and Shay challenged us to play with patterns. In thinking about this, I can't think of anything that uses pattern more than quilts, and so I decided to make one of my little quilt cards to enter this challenge. I used a punch to cut 9 squares, mostly from Simple Stories Harvest Lane paper pad, and then pieced them together on a backing. As I always do, that panel was embossed with an embossing folder, to simulate quilting, and then framed in a Core'dinations brick cardstock. (the binding) Then I remembered these matching stickers from the same collection, and I thought this would be the perfect time to use them, so that leafy branch went over the top of my quilt. I finished with a simple welcome home sentiment from Winnie & Walter's The Big, the Bold and Blessings, stamped in Simon's Lipstick Red ink. Our boys are far from home, in warmer climates, and they rarely get home here - it's usually easier for us to go to them. But my fondest wish would be for them to be home at this, my favorite time of year. This is kind of the thinking behind this card......a Mom can dream, can't she? Shay, is this enough pattern for you? :)) Thanks for visiting! Hero Arts has a Holiday challenge going, and one of the categories is to make an all-white card. I knew immediately what I would do, using their large Snowflake die, cut from white glitter paper. After cutting the snowflake and embossing the background panel, it was popped up above the glitter paper frame, and then the glittered snowflake was turned slightly and popped above that. I love the soft glimmer this gives off, just like new-fallen snow! The other categories for this challenge are metallics, and tags, and there's even an anything goes one for a Holiday project you make that doesn't fit into the others. Even though the challenge is open for a good long time, don't wait too long - there are FIVE $40.00 shopping sprees up for grabs! 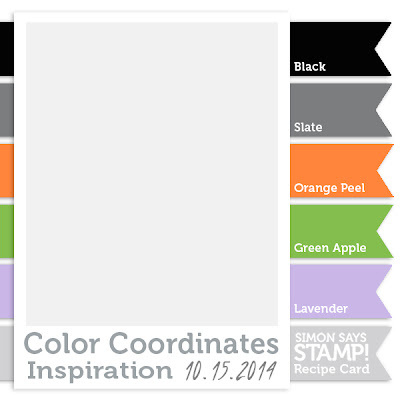 Happy Wednesday - are you ready for a new Simon Says Stamp Wednesday Challenge? I pulled out a set that has some pearlescent and metallic highlights in most of the colors: Yasatomo Pearlescent Watercolors. The magic happens when you tilt the finished card to see these highlights appear. I first stamped my Winnie & Walter sentiment in Simon's Lipstick Red ink, then masked off that area and stamped a maple leaf multiple times. Then I added color to the leaves, working with one color at a time, outlining the leaf with one color and filling in with another, then blending them. When the leaves were dry I also splattered some of the same paints at the top and bottom of my card. Then I added a dotted line at the top and bottom of my sentiment with a matching marker, and to finish used some My Mind's Eye Charmed gold enamel dots for a little more sparkle. The panel was mounted on a card made from Hero Arts Grenadine layering paper, a perfect match. Now it's your turn - I can't wait to see what you do this week! As always, Heidi has provided another $50.00 gift voucher to the Simon Says Stamp Store, where you can find these watercolors, and almost anything else you can think of! 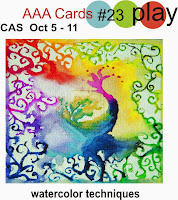 eta: thanks to Angela, I'd like to add this to the AAA Cards challenge for this week, "Play with watercolors". ......and the Dazzling Diva Challenge #46, Fall is Here. Good morning! Yesterday was World Card Making Day, and I spent it making cards that I will need for this month of October - birthdays, and some Halloween cards for our grandchildren. I'm sharing one of them here today. After waiting so long to get these Painted Flowers in my hands, I haven't used them nearly enough, so I decided to color them in fall colors, and I love how this turned out! I paired them up with a sentiment from another favorite company, Winnie & Walter, and added some pretty cupped flower sequins from Paper Sweeties to match. The card base is an old Hero Arts notecard, a perfect match! It's another dreary day here today, so I'll be doing more of the same. Hope your Sunday is a creative one, too! These are such unusual colors for the current Color Throwdown! I just had to see what I could do with them. I started with this trio of Hero Arts flowers, coloring them with various orange markers (the leaves are bundled sage), and fussy-cut them out. I previewed several grey patterned papers for my vertical panel, and this one from My Mind's Eye Bramble Rose was the one I liked the best. The black lacy edging is one of Hero Arts Scallop Borders, an older set, and the sentiment is Simon's Handwritten Sentiments. I added some orange flower sequins from Paper Sweeties to finish. Thanks for visiting again today......I hope to see you over the weekend for World Card Making Day festivities!